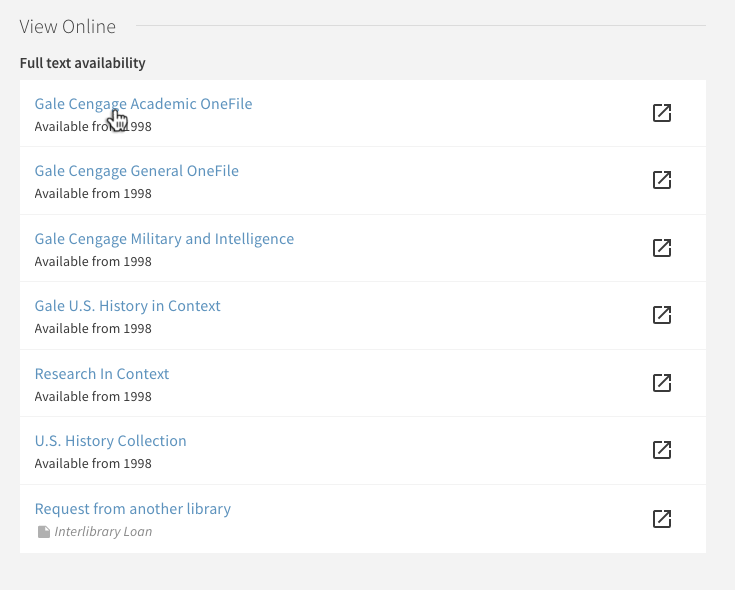 Help searching and navigation the library's research databases. Using this "Persistent Method" for locating full text of articles will usually get you the article you want. 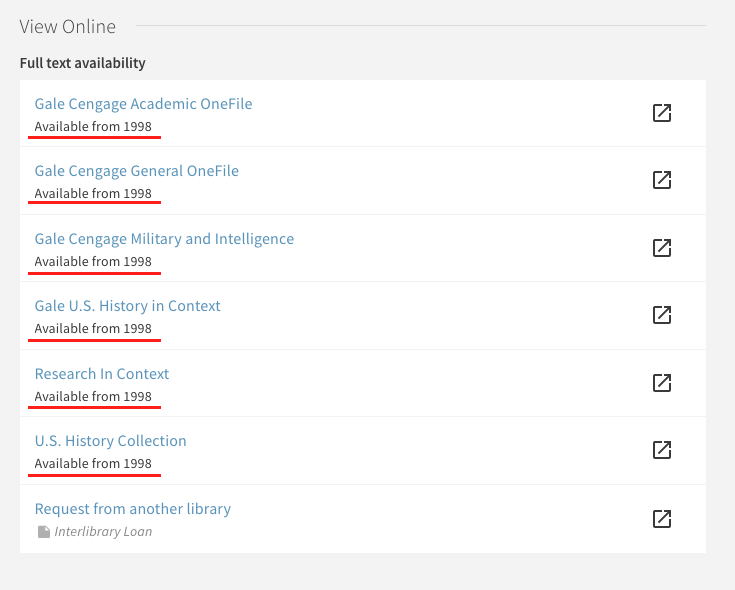 In Esearch, select the article's title to be transported to either a full-text version of the article or a listing of options for retrieving full-text. Selecting one will transport you to either a full-text version of the article or a listing of options for retrieving full-text. Take note of the article's publication date. Compare that date to the availability ranges listed for each option. Select any option in which the range includes the article's publication date. If an item is not available online, but is available in print, proceed to the location indicated under the "Locations" heading. Magazines and journals are arranged in alphabetical order by title on the library's 2nd. floor.